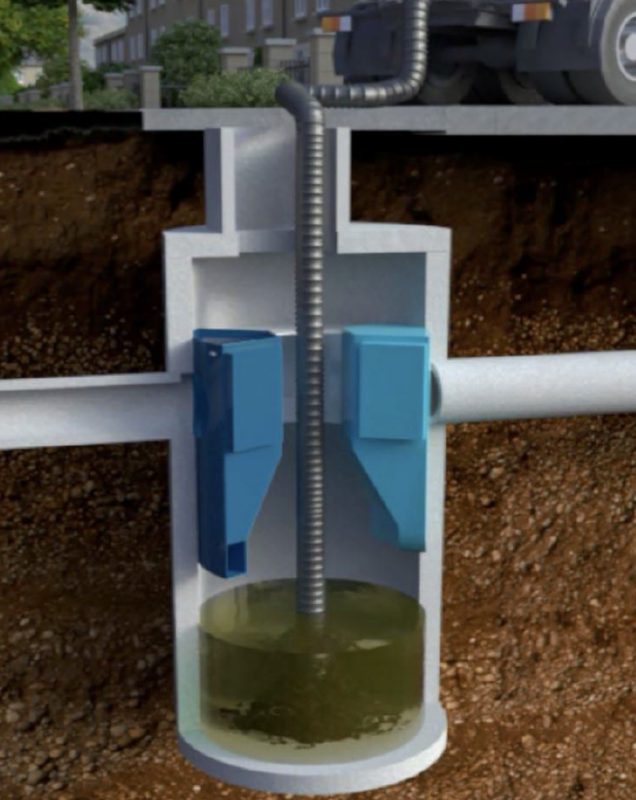 The First Defense® is an economical solution for hydrodynamic vortex separation of sediments, floating solids and light liquids present in runoff waters. By ensuring the non-release of the pollutants, which are collected and stored, the system protects the receiving environment from harmful pollutants. Rainwater treatment before storage, retention, discharge and infiltration. The internal components of the First Defense® have been carefully designed to create a low-intensity rotational flow in the system in order to optimise the separation of pollutants. 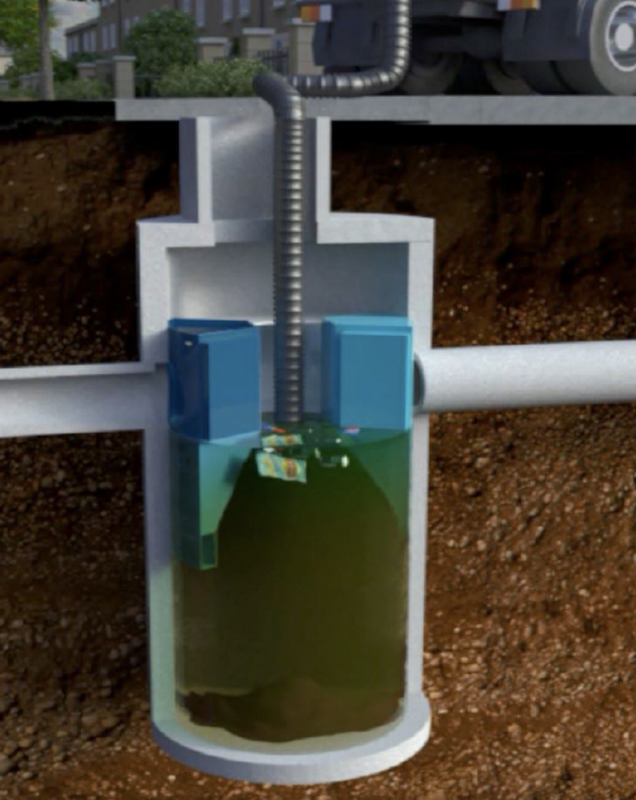 This vortex separation allows the sediments to be stored in the lower part of the containment zone while oils, floating solids and other light elements are stored in the upper part. The bypass makes it possible to immediately direct exceptionally heavy rains toward the output. 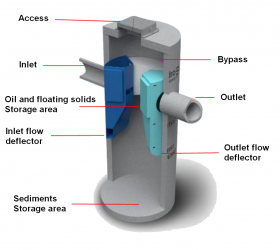 This design avoids turbulent flows and therefore prevents the release of captured pollutants. 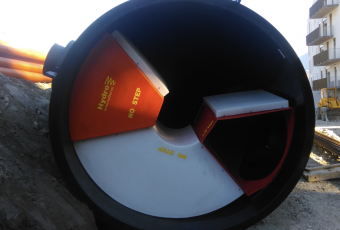 In addition, the low energy vortex separator generates a tranquilised flow, thus preventing the re-suspension of pollutants captured during heavy rainfall. 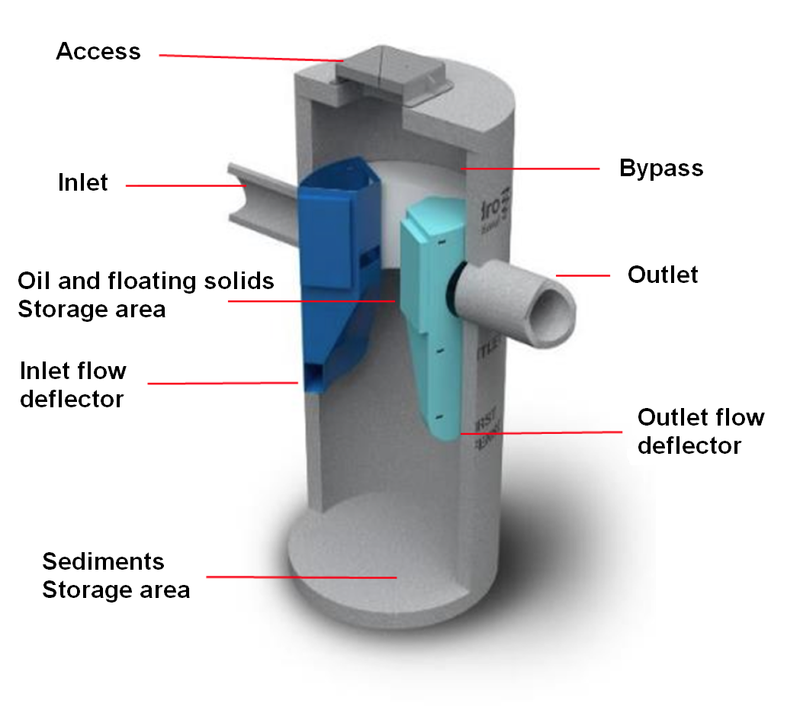 The advanced hydrodynamic vortex separation solution, First Defense®, whose performance has been validated by laboratory tests on several effluent granulometry  and by independent third-party organisations is illustrated below. 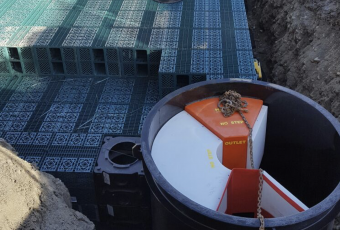 Installing a First Defense® system is as easy as installing a conventional plastic manhole. The system is delivered ready for installation. Please refer to the First Defense® system technical data sheet. The maintenance of a First Defense® is simple and fast. The required operations are comparable to the maintenance of a dump chamber. A conventional cleaning truck, with no special equipment, is used to drain the system and return it to service after cleaning. No items need to be disassembled. The First Defense® system can be custom-made according to the connection diameters of the network as well as their layout. The angles will be tailor-made according to the specificities of the project. First Defense® protects the natural environment and storage structures by removing a wide range of pollutants from runoff. First Defense® allows easy and safe inspection. A conventional cleaning truck is used to remove captured sediment and floating matter. The point of access to the structure is in the upper part via the cover. The maintenance of removal of hydrocarbons, light liquids, floating solids and sludge is done from the outside. No human intervention within the system is necessary. Maintenance operations do not require disassembly. The frequency of maintenance is determined on-site after installation. The frequency of maintenance is determined on the site after installation. During the first year of operation, the unit must be inspected every six months to determine the rate of sediment and floating matter accumulation. This information can be recorded in the maintenance log (see end of document) to establish a routine maintenance schedule. A visual inspection should be carried out once a year. A system and network maintenance operation must be performed in the event of a spill. The cleaning/suction procedure, of both sediment and floating solids and light liquids, typically takes less than 30 minutes. Fill out the maintenance log.